Check this out – Can you create a Tagxedo? 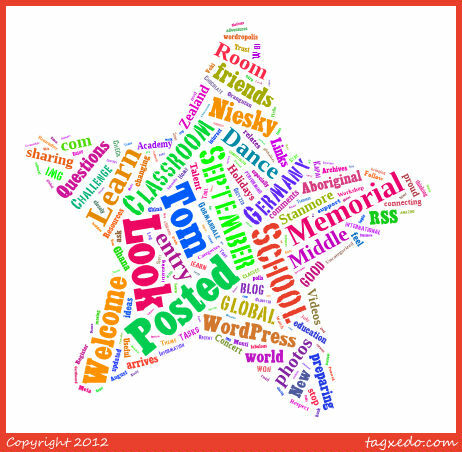 www.tagxedo.com Check mine out 5/6J, Room 13, Niesky Middle School and L & A Memorial. ← School Holidays won’t stop 5/6J from sharing with the world. Wow that must of taken a long time to make and it looks interesting to see. Befuddling is written all over this star of test with a ting of pyscadalic glimmering. Now to read it would hell and knowing what it means would be really shocking to see. Its must be really hard to make.